Poor glasses guy. Didn’t receive a mouse on his first working day, never complained about it. He could’ve had a much more enjoyable work life. Why…? When you vim and/or modal, you don’t need any mice! 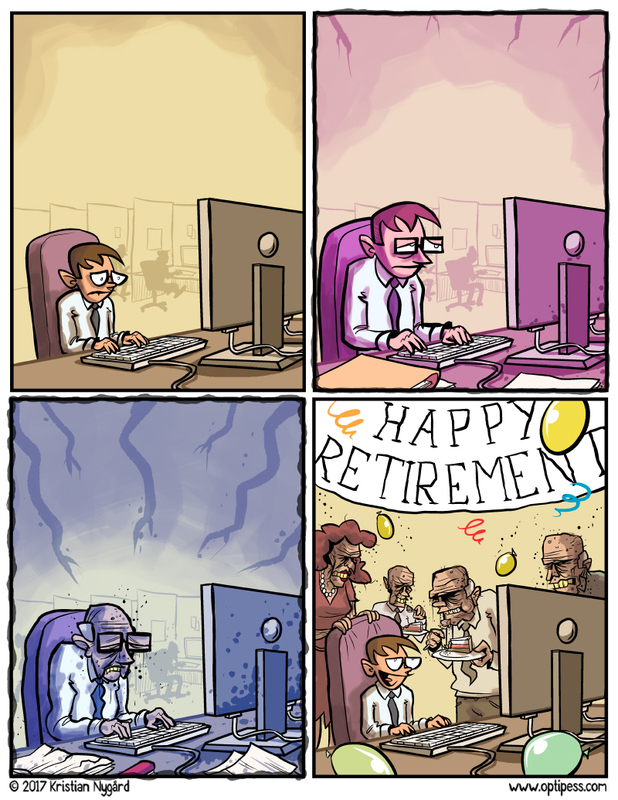 While I do enjoy a good “souless corporate office” gag, I have to wonder… Is the “Working until retirement in one workplace” joke relevant in today’s job market and with the current workforce? I mean I work as an office drone in a mundane 9-to-5 job, but I’m not planning to retire from there – nor climbing their corporate ladder at this point. I feel foolish… why is he a kid again at the end, but with them all ancient? Every decay.. This post is nice. Keep sharing the posts like this.